Today is Christmas Eve. Today is my birthday. Today I am fifteen. Today I buried my parents in the backyard. Neither of them were beloved. Marnie and her little sister, Nelly, are on their own now. Only they know what happened to their parents, Izzy and Gene, and they aren't telling. While life in Glasgow's Maryhill housing estate isn't grand, the girls do have each other. Besides, it's only a year until Marnie will be considered an adult and can legally take care of them both. As the New Year comes and goes, Lennie, the old man next door, realizes that his young neighbors are alone and need his help. Or does he need theirs? Lennie takes them in—feeds them, clothes them, protects them—and something like a family forms. But soon enough, the sisters' friends, their teachers, and the authorities start asking tougher questions. As one lie leads to another, dark secrets about the girls' family surface, creating complications that threaten to tear them apart. 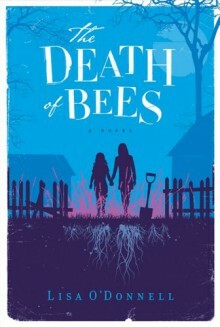 Written with fierce sympathy and beautiful precision, told in alternating voices, The Death of Bees is an enchanting, grimly comic tale of three lost souls who, unable to answer for themselves, can answer only for one another. http://Zahnfee12L.booklikes.com Zahnfeen-Welt 4.0 heute haben wir unsere Eltern im Garten begraben..
text heute haben wir unsere Eltern im Garten begraben..